WASHINGTON (Sputnik) - Khalid Shaikh Mohammed, an alleged mastermind of the September 11, 2001 terrorist attacks, has asked a military judge to send a statement to the US Senators holding confirmation hearings on Gina Haspel’s nomination as CIA director, US-based media reported. 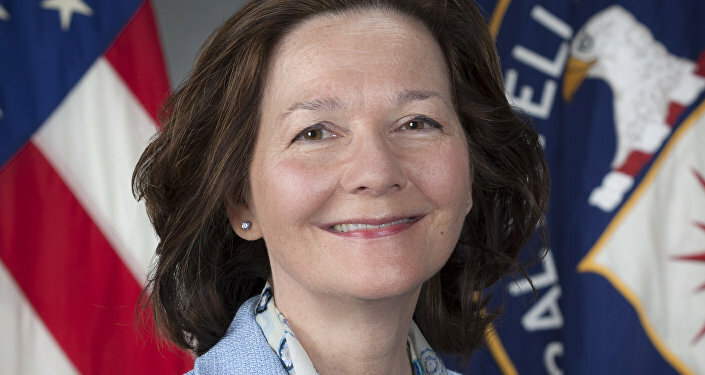 The request was disclosed by the New York Times on the eve of Senate Intelligence Committee confirmation hearings, which are expected to scrutinize Haspel’s reported involvement in a CIA torture program that followed the terror attacks on New York and Washington. The New York Times cited a Senate Intelligence Committee Report claiming Mohammed was waterboarded 183 times, stripped naked, doused with water, slapped, slammed into a wall, given rectal rehydrations, shackled into painful stress positions and sleep-deprived for about a week by being forced to stand with his hands chained above his head. It remains unclear whether Haspel was involved in Mohammed’s interrogations at secret CIA prisons in Poland and Afghanistan. Earlier, the US senators said in a letter that che CIA should release all materials regarding the role of Gina Haspel played in the agency's torture program.